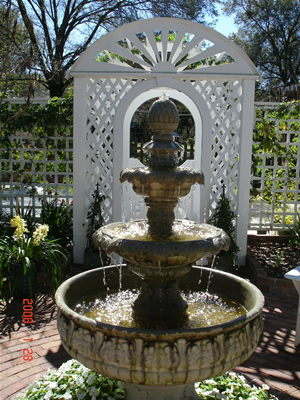 Backyards are a place of solace – an easy escape from the crazy world around us, no matter if we’re barbequing with family and friends or taking some time alone in the hammock to immerse ourselves in a good book. 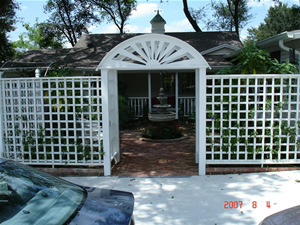 Not only does reinventing your outdoor areas with garden arbors and outdoor trellises give you a refuge in your own home, they also provide a welcoming feel each time you come home or welcome guests. 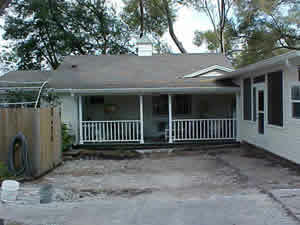 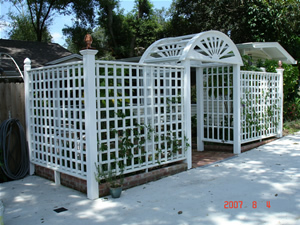 Tampa master carpenter Don A. Sigel can easily transform your backyard into a desirable courtyard area complete with fountains, custom outdoor arbors and garden trellises. 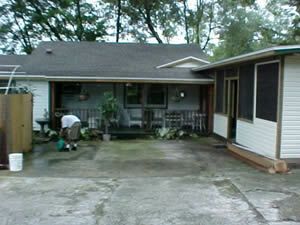 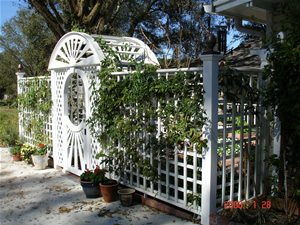 Items can be custom designed using a wide variety of materials. 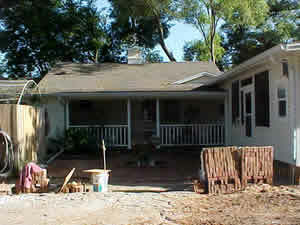 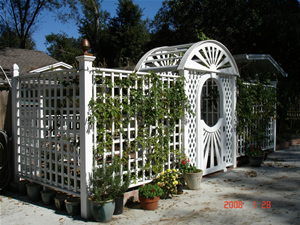 Take a look at one of his prior arbor/trellis projects below and see this home’s evolution from a plain old parking and back courtyard area to an inviting space for the home owner and their visitors. 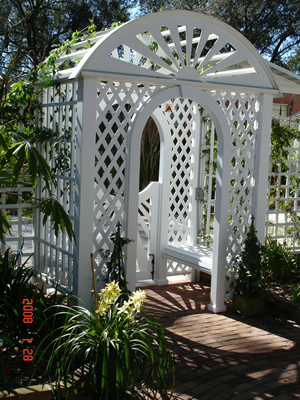 Contact Tampa master carpenter Don A. Sigel for more information on custom outdoor arbors and garden trellises for your home today! 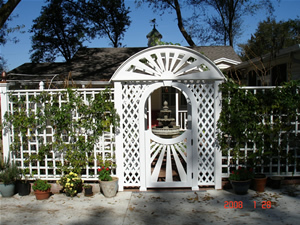 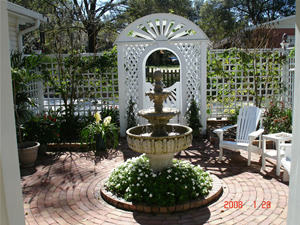 Custom designed arbor flanked by wooden trellises to create a private courtyard.